It is that time of year when our church needs a little TLC before winter hits. 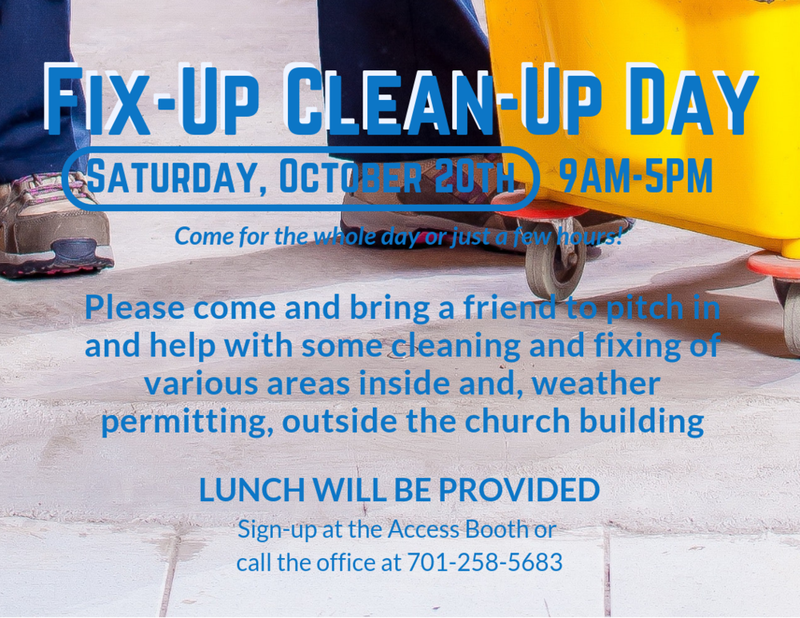 Saturday, October 20th from 9am-5pm, please come and bring a friend to pitch in and help with some cleaning and fixing of various areas inside and, weather permitting, outside the church building. You can either come for the whole day or just part of the day. Have a role in helping our church look its best! Lunch will be provided.